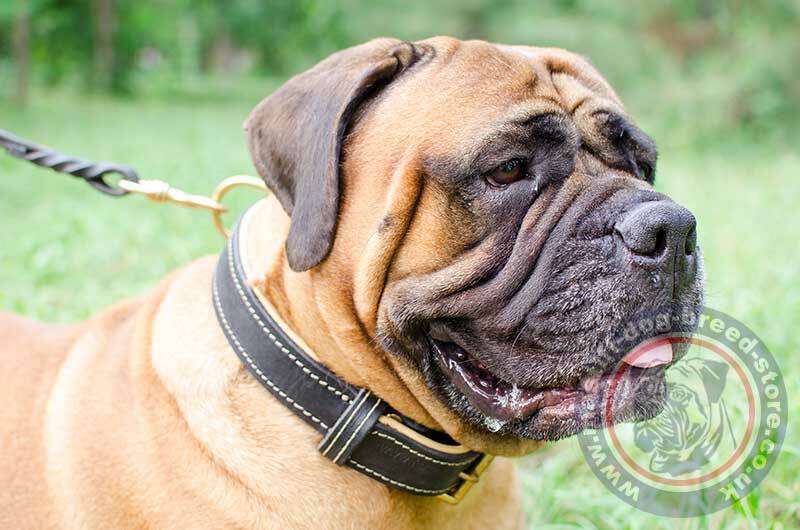 Home BullmastiffPadded Leather Dog Collar for Bullmastiff - Wide and Strong! Padded Leather Dog Collar for Bullmastiff - Wide and Strong! 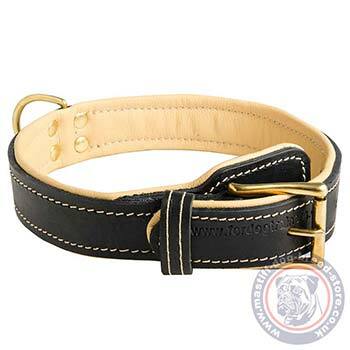 Try this soft and strong leather dog collar for Bullmastiff. Colors: black and brown. Width: 1.6 in (4 cm). Sizes: 19-40 in (48-100 cm). 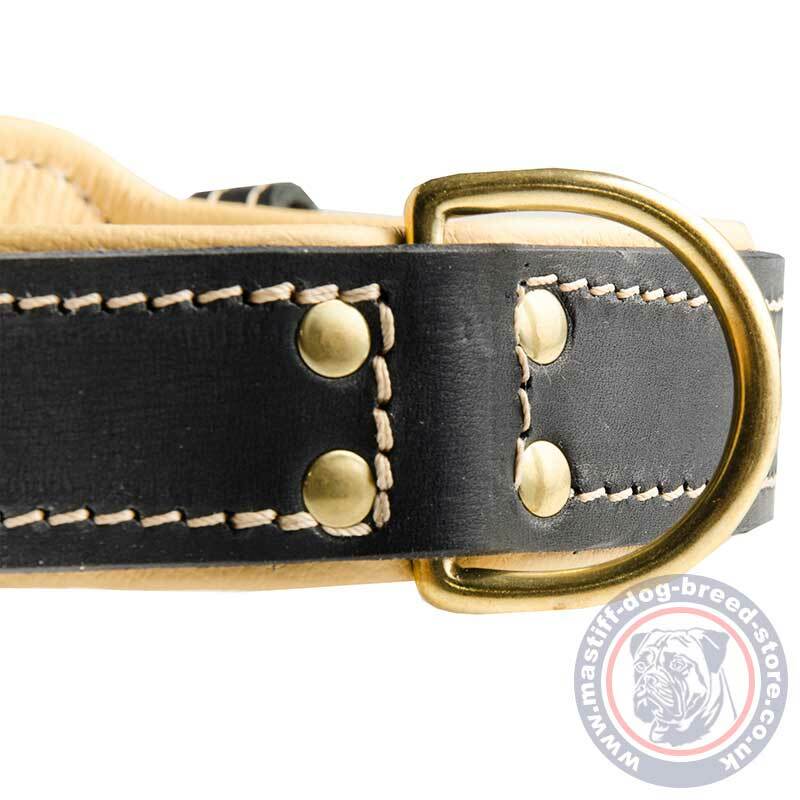 Bullmastiff Leather Dog Collar with Soft Nappa Lining and Extremely Strong Brass Hardware! 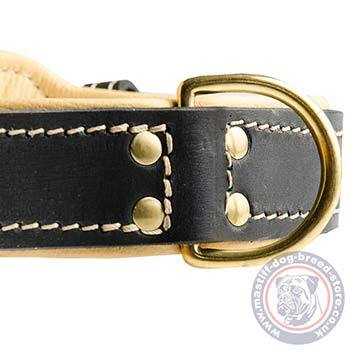 This leather dog collar combines super comfort and strength for a large Bullmastiff dog. Bullmastiff leather collar is aimed to make your dog feel comfortable in daily walking, training, trackign and work. It is a classic design of a leather dog collar with buckle but padded with soft leather lining, reliably stitched, equipped with reliable brass hardware. 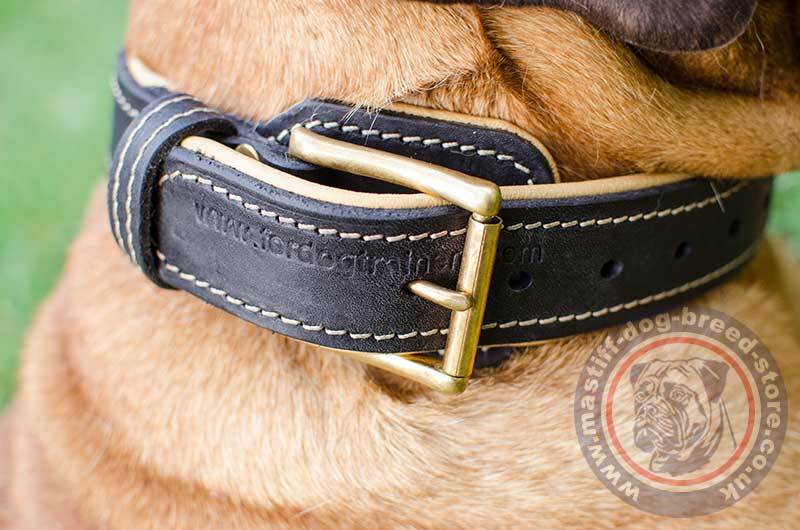 40 mm width of this Bullmastiff collar will endure huge loadings and is felt comfortable on large dog's neck. Soft lining prevents rubbing of dog's neck while active exercises and running. 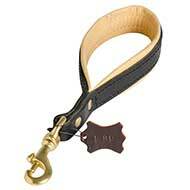 Our advices will help to prolong the life span of leather dog collars. This dog collar has strong stitching to serve you a long life! 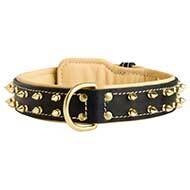 Turn attention to the simple but comfortable and strong details of this leather dog collar. 2 ply leather collars are thick. A padded dog collar will fit dog's neck size at the 2-3rd hole in folded position. 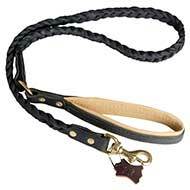 When stretched flat its length will correspond to dog's neck at the 1st-2nd hole. Order now and enjoy quality and comfort!